The time has come for the Your Next Stamp July new release sneak peeks! 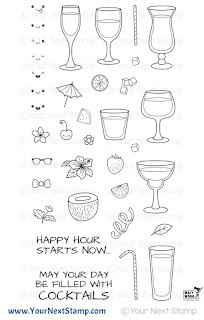 As always, Karen has another fabulous release full of fun and cute sets for so many crafty ideas. 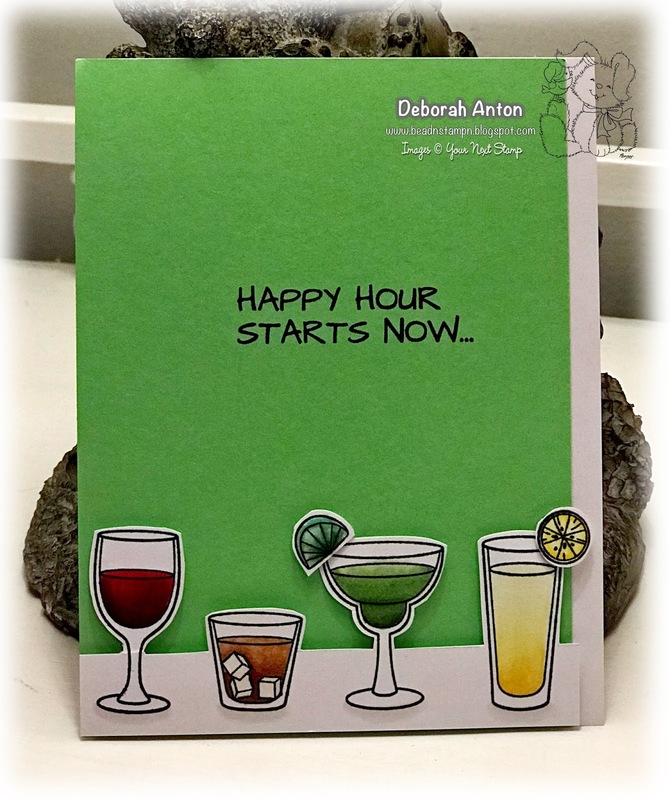 For my sneak, I am using the new set of Happy Hour. There are coordinating dies, but I manually cut my images to create a partial die cut scene. If you know me, you know I love a CAS card. I couldn't resist using these images to make one. Once I partially cut the images, I popped the stip up at the bottom of the card base. The sentiment was stamped directly onto the card base ready for the giving. Be sure to stop by the YNS Blog to see all the wonderful sneak peeks and come back tonight for the full release and blog hop! You don't want to miss it all and have a chance at winning a YNS gift certificate! Thanks so stopping by here and hope you all have a great Saturday! Very cute! 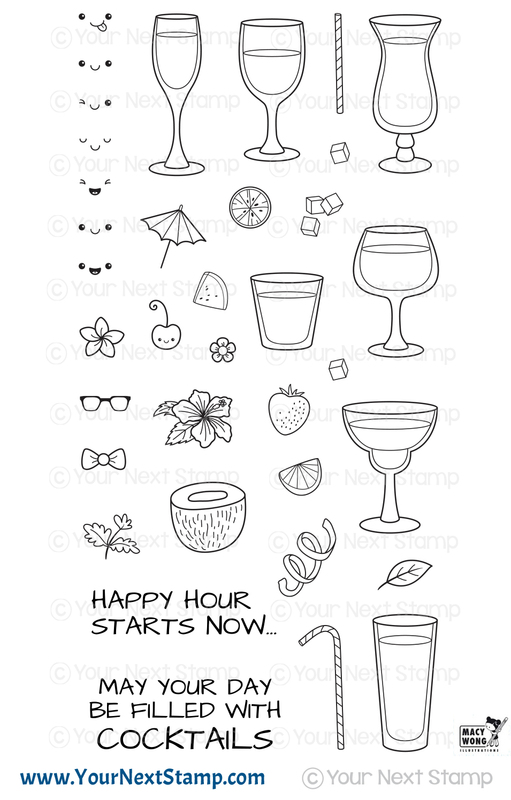 I could definitely use a stamp set like this for summer cards! these are such cool stamps love your card!!!! I love the vivid colors you used! Everyone needs those drinks!